Go beyond the yoga revolution to find greater meaning in everyday life. We can do more with this life. We all know it, we all wish for it, but just how to do it—that eludes us. 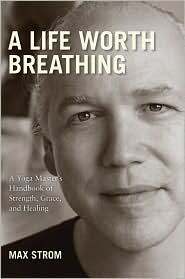 In his new book, A Life Worth Breathing, internationally renowned yoga teacher and spiritual philosopher Max Strom shows us the way.